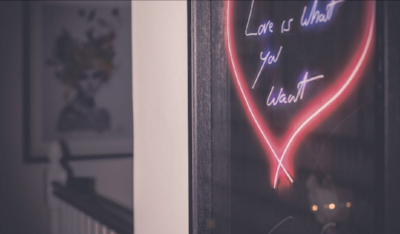 We recently wrote about contemporary art collective House of Artists, whose mission it is to spread exquisite art through the medium of vinyl wall coverings. In the latest collaboration with contemporary collective House of Artists, Maria has been commissioned to fill a single wall of 53 Degrees North / Laurent Perrier in Leeds. A stunning backdrop to the bar's VIP area, Eliza adds exquisite colour to the iconic space. 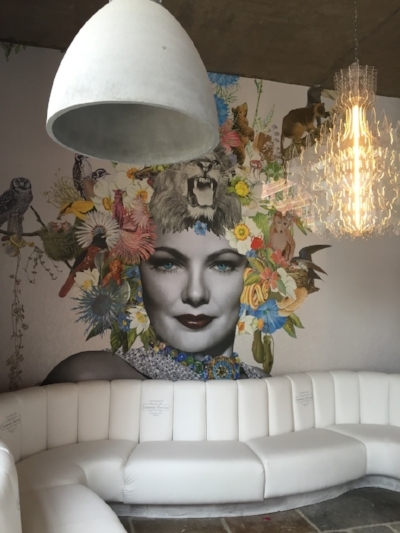 House of Artists - established by contemporary artist Ben Allen - works with a diverse collective of art practitioners (Maria amongst them) to create large scale wall coverings. 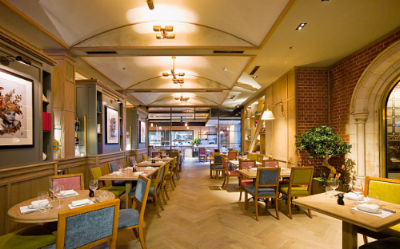 Transforming interior spaces, House of Artists creates breathtaking vinyls - murals for the twenty-first century - which have attracted a cult following, for both public and private commissions. Following the success of her solo show at Gahlerie Bhak, Seoul, Maria was commissioned to produce cover artwork for South Korea's monthly photographic art magazine, Sajinyesul. 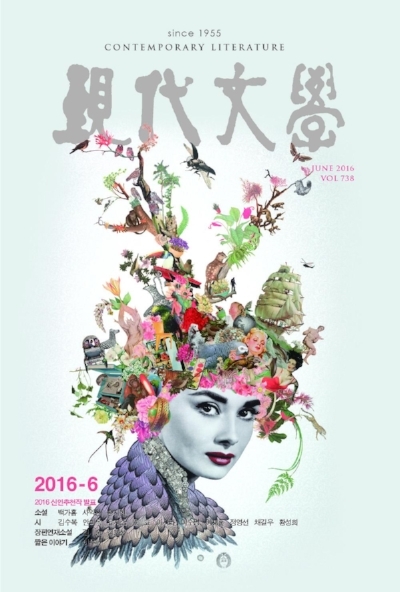 Maria was commissioned to produce artwork for Hyundae Munhak, South Korea's acclaimed contemporary literature magazine. Her images can be seen throughout this beautiful summer edition, as well as on the show-stopping cover, featuring a brightly coloured reproduction of popular pin-up Edie. Snapshots from the 2016 solo show at Galerie Bhak in Seoul, Korea. The gorgeous Padstow Townhouse - a boutique hotel nestled within a large, eighteenth century house in Padstow's Old Town - and its Michelin starred restaurant Paul Ainsworth at No.6, now feature two of Rivans' pin-ups: Sugar Queen, a beautiful reworking of Sophia Loren, and Amelia, a twist on the iconic Audrey Hepburn - both of whom look right at home in their new, decadent space (and beside a Tracey Emin, too)! In October 2015, Scarlett was commissioned as the face of the Nordea Banking campaign at Stockholm's Affordable Art Fair. Gracing the covers of glossy magazines and brightening the walls at the Nordea stand, Scarlett was blossoming, with her tumbling headdress and sparkling blue eyes. 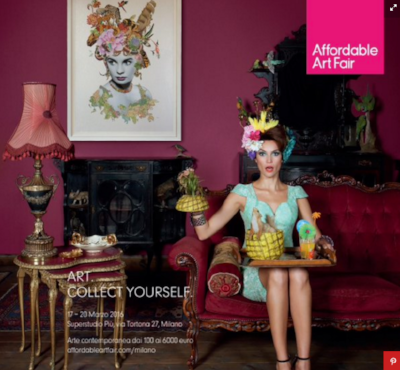 In 2015, two of Maria's pin-up girls - Carina and Delilah - were commissioned by the Saatchi Gallery, as the faces for international fashion shows Scoop and Scoop London. 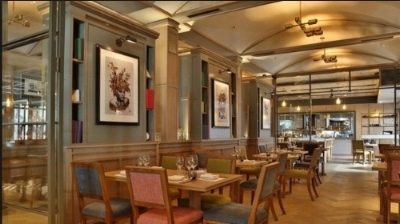 Several of Maria's Pin-ups, including Godiva and Billie Ray, are decorating the walls at Percy and Founders, a sate-of-the-art restaurant and bar in London's fashionable Fitzrovia. Brighton's brilliant Simon Webster Hair now has a limited edition framed Sugar Queen gracing its walls - time for a trim, sweet majesty? Images from 'Popcorn Noir', a 2015 solo show with Saatchi Gallery, London. The show was an exhibition of original works and prints, inspired by three, vintage films: Hitchcock's 'Rear Window', 'A Stolen Life' starring Bette Davis, and a number of the 1930s 'Tarzan' series. Staging a collage within a collage, the exhibition deconstructed and reassembled stills from the iconic films across the entire collection. 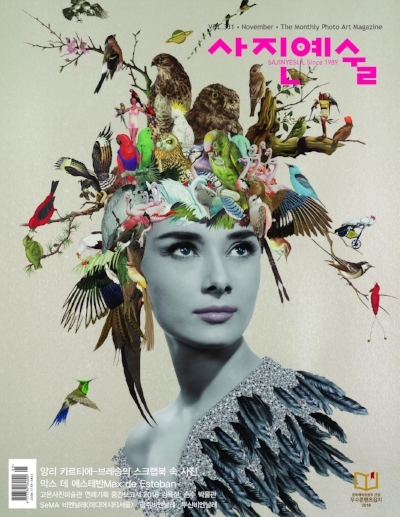 Public Art, Korea's leading magazine for contemporary art, used Jeanne Genie, an original collage, for the cover of a 2014 edition. 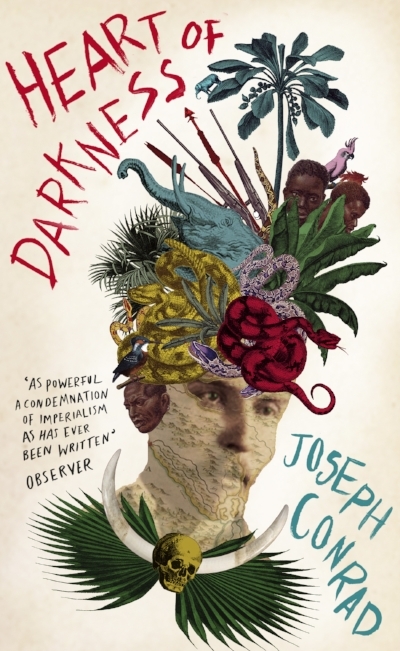 Penguin Books commissioned Maria to design a book cover for Joseph Conrad's timeless classic Heart of Darkness. The brief was short: the cover had to look "modern and different." Maria applied her pin-up process, building exotic flora and fauna, hidden figures and animals, over an antique photographic portrait. With a sitter resembling the book's narrator, Marlow, Maria layered snakes, maps, and skulls - some of the book's most evocative images - to create her unique visual response. The result was a success, capturing the dark and brooding atmosphere of one of the nineteenth century's most captivating works of literature.